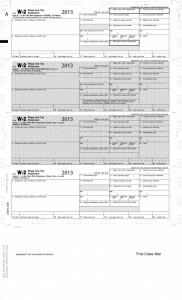 You probably know all about our regular tax forms for laser printing. But pressure seal forms are sometimes overlooked. And that’s a big mistake, because you may be missing out on some significant sales. Pressure seal forms ensure security and are used by a wide variety of customers. Instead of requiring a separate envelope, pressure seal forms have thin strips of adhesive that – when pressed together – create a “self-mailer.” This saves time and money by eliminating the need for an envelope. Don’t wait until it’s too late! Start saving money today. Or call 484-243-6167 to place your order with one of our team members.